Children and Diving: Are they ready? Often I hear from enthusiastic parents who want their children to learn to dive, but have some concerns regarding the difficulty of the training or their child’s safety in open water. 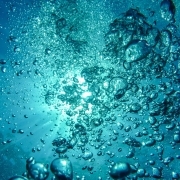 Because of this, I’ve put together the following overview of the considerations that you will need to make as a parent, before taking your children underwater! Disclaimer: Standards are subject to change. Please consult the PADI website for further information. STEPDive is not a representative of PADI. Disclaimer: Standards are subject to change. Please consult the SSI website for further information. STEPDive is not a representative of SSI. Pulmonary development until the age of eight (underscored by childhood asthma). Higher pulmonary closing volume (volume of lung inflated when small airways in the dependent parts of the lung begin to collapse during expiration). Reduced pulmonary compliance (higher risk of barotrauma). Higher number of respiratory infections and ORL. Functional immaturity of the Eustachian tube opening mechanism (canal connecting the middle ear, controlling pressure). Unfavourable body surface : weight ratio (risk of hypothermia). Limited ability to understand mathematical and physical laws. Limited ability for self-care and the care of others. 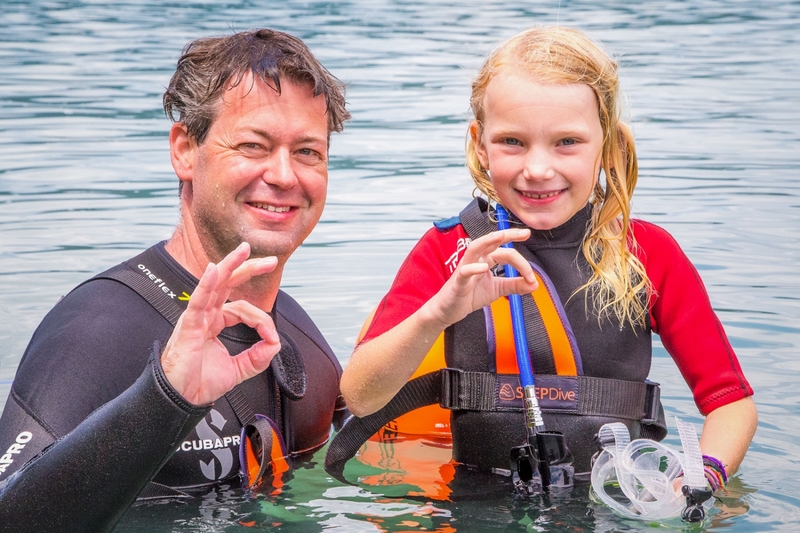 Builds proficiency, before depth – even children younger than 8 can learn how to ‘snorkel’ with a SCUBA regulator as we can effectively ‘lock’ their depth at 0m. Allows age appropriate or even smaller limits to be set (dictated by student confidence and ability) up to a maximum of 5m. 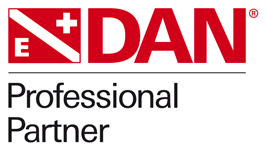 Provides a strong foundation in safety knowledge, behaviours and techniques. Is safe and simple to use. 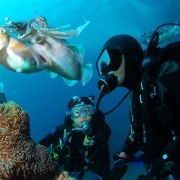 Gives families or groups the chance to experience the underwater world together in a fun and rewarding way. And once children have reached the appropriate age and maturity level, we fully encourage them becoming Junior Open Water Divers! If you’d like to read more about this topic, the Divers Alert Network (DAN) has published a terrific article about Children and Diving, which includes detailed opinions from industry experts. 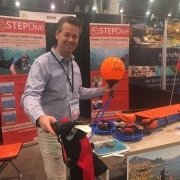 https://www.stepdive.com/wp-content/uploads/2019/02/stepdive_children_scuba_diving_scuba_lake_1600x1067.jpg 1067 1600 Darren Osborne https://www.stepdive.com/wp-content/uploads/2019/01/Logo2-Orange-340x156-300x138.png Darren Osborne2019-02-08 14:00:482019-04-01 12:09:49Children and Diving: Are they ready?